I’m going back. I’m going back to the Bahamas in 2018… July. 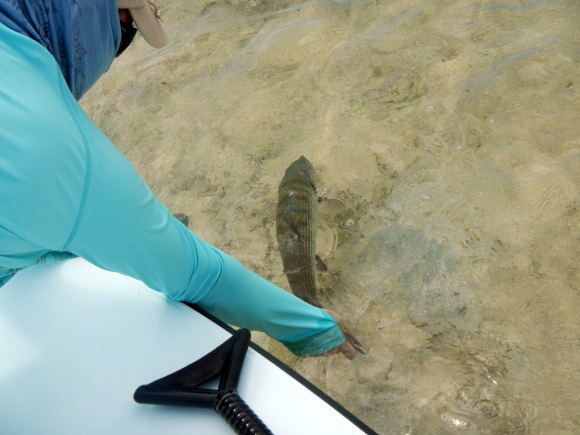 I’m going to spend a few days at the East End Lodge, very close to the waters where I caught my first bonefish. This is the place I’ve spent the most time of any one place in the Caribbean. This is a place I kind of love a bit and want to know better. I’m excited to be going back. I’m excited to stand in those waters again and look for something moving toward me there in the shimmering shadows of currents and water. It is going to be a very, very fine year. Grand Bahama… I’ll see you soon. This entry was posted on Tuesday, February 27th, 2018 at 11:00 pm	and is filed under Locations. You can follow any comments to this entry through the RSS 2.0 feed. You can leave a comment, or trackback from your own site. Good for you! I know you’ve been jonesing to get back there. My friends just fished there in mid Feb and got blown out. They managed a few decent fish but got skunked one day. I’d take a skunking for a couple of good days. Can’t wait. I’m jealous. Hopefully I’ll be able to get back down there in the next few years, now that Disney is out of the way. Great job Love reading about your weekly catches and your story of how you stared fishing. best place in the world to kayak is Bahamas , I really go every summer there to kayak with my wife , and friendly people of course.